We’re looking for creative work about life in jail, prison, and immigrant detention. 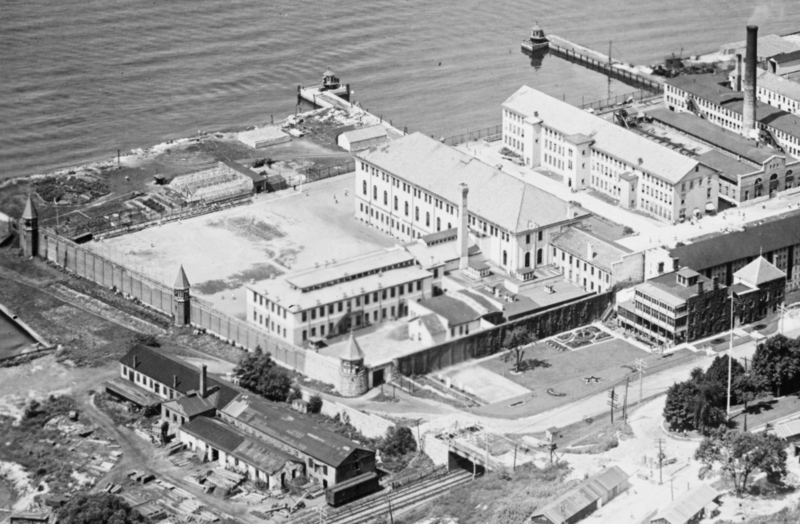 A nineteenth-century stereoscopic photograph of Sing Sing Correctional Facility, courtesy of the New York Public Library. When Edward Ji was seventeen, he was sent to jail to await trial for attempted murder. To pass the time, he’d hang out in the “dayroom” with an acquaintance named Qiu, wearing shackles at a table that was bolted to the floor. One day, Ji learned from the date on a newspaper that Qiu’s birthday was approaching, and he decided to make a cake. There are countless incarcerated writers like Ji, but most never reach an outside audience. Our newest project, A World Without Cages, aims to change that by bringing together the work of writers on the inside and on the outside. This might include poetry about ICE deportations, an essay about ankle monitors, or a comic about life in jail. We want to know: How does mass incarceration shape the immigrant experience? What have we learned—and failed to learn—from the historical detention of immigrants, such as Japanese Americans? How do the incarcerated fight the system that confines them, and what would a liberated world look like? A World Without Cages will appear our online magazine, The Margins, and may be collected in printed portfolios. We want to highlight work by and about the incarcerated, including—but not limited to!—Asian Americans. We can pay an honorarium to all contributors whose work is accepted, and will mail copies to contributors who are incarcerated. If you are incarcerated and need your submission forwarded or returned, please let us know. We may contact some contributors with an offer of writing mentorship.